Buy Bankers Box System Large Storage Box FSC and get 1 pack of 10 free. 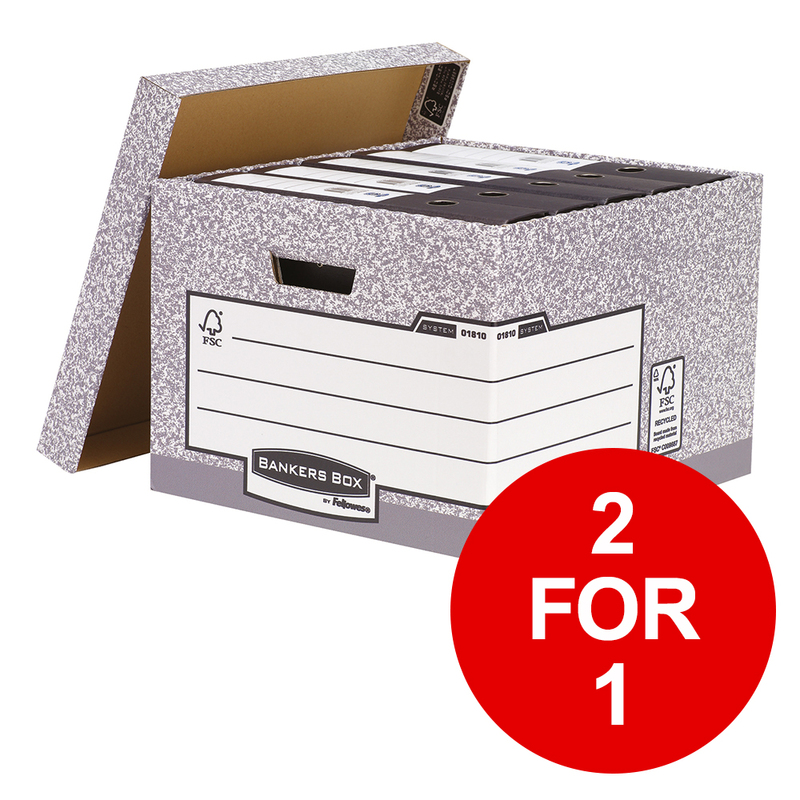 Bankers Box® system storage boxes, are made from 100% recycled board and are double sided at the two end panels and the base to ensure additional strength as a medium duty box. This enables up to four boxes to be stacked on top of each other, saving storage space. With Fastfold® automatic assembly technology these boxes can be assembled quickly and easily, enabling you to save time where you have a large number of boxes to assemble. 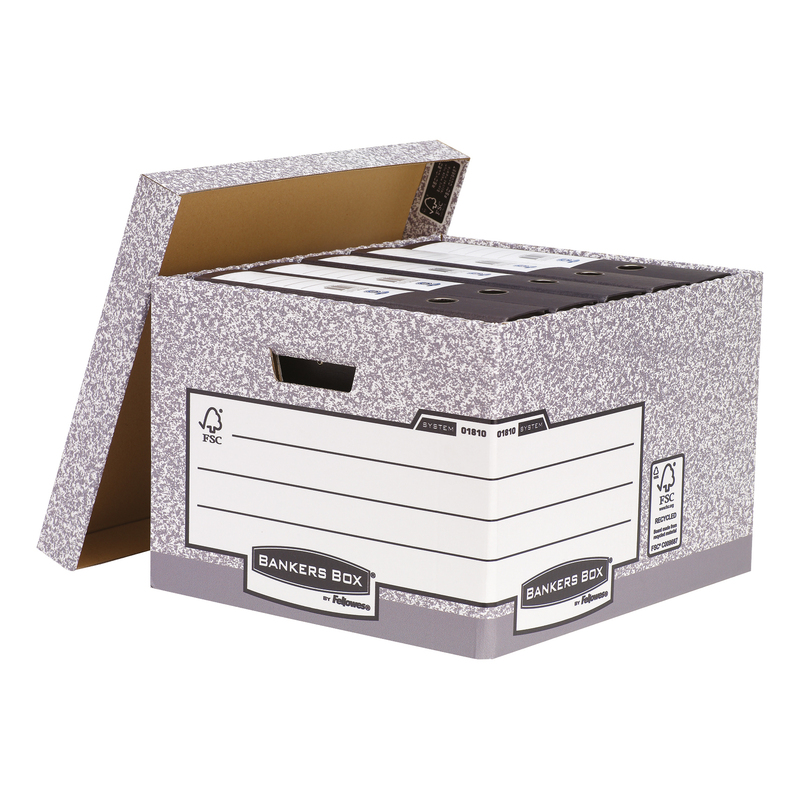 This box is designed to store your A4 or foolscap ring binders, lever arch files, System transfer box files and computer listing paper.